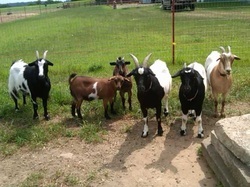 town bringing along a few goats and a "sacred"
but alas for the poor wife, left her behind. predator with an easy meal while the sheep escaped. falls over. Hence the name "Fainting"
A lot of people ask if this is harmful or painful to the goats and as far as we know, the answer is no. Humans with a very similar form of myotonia known as Thomsen's disease report no pain or trauma when they experience involuntary muscle contractions. While it is true a human with this condition could easily be harmed from a fall, goats fall over in a much different way than people and being much closer to the ground they are unharmed when this occurs~ In general, fainting goats are very tough animals. Fainting goats are very friendly and social animals, and if well-socialized and treated kindly they are very safe with young children. 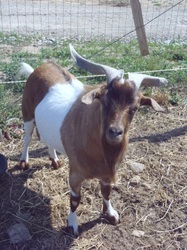 They are often kept as pets, show animals and sometimes bred as meat goats and are also used for weed control. 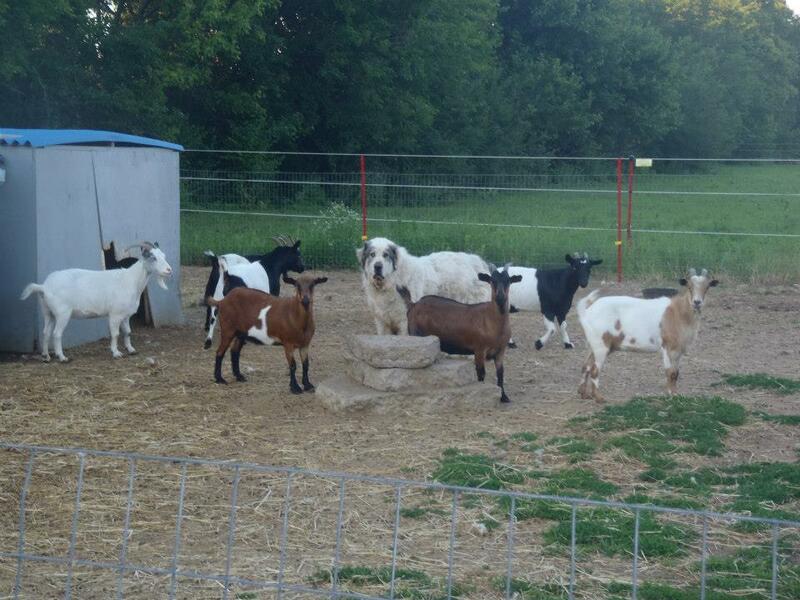 They are easy to care for, a lot of fun to have around and unlike regular goats, they cannot climb very well or escape fencing very easily.